The sixth day of partypoker‘s POWERFEST brought with it another $1.5 million in prize pool guarantees spread out over a hefty schedule of 29 new tournaments. The highlight of the day was the $300,000 guaranteed in Event #37-HR ($1,050 Progressive KO, Six Max No Limit Hold’em). The lion share of the prize pool was taken home by ‘DOnt_DO-iT’ who was able to survive the 376 player field for a first-place payday of $36,051.54. That, combined with over $38,500 in claimed bounties, was good enough to make him the biggest POWERFEST winner of the day. The most well-known winner on the day would be none other than the all-time leader in online career cashes, Chris ‘moorman1’ Moorman. 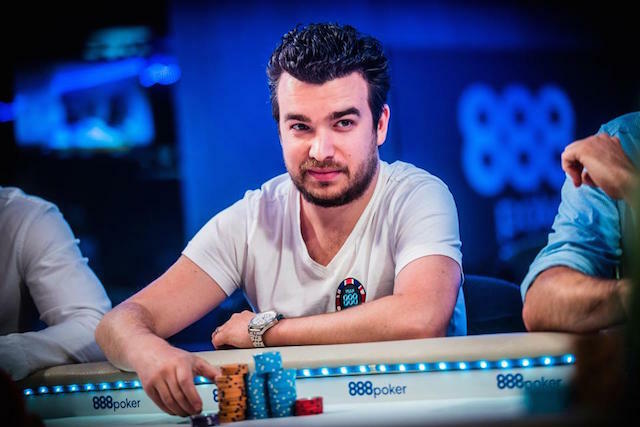 Moorman, the 29-time Pocketfives Triple Crown winner, proved once again why he’s still one of the best online players in the game by winning Event #37-H ($215 Progressive KO Six Max No Limit Hold’em). He took home over $16,000 for first place and an additional $13,400 in bounties. The former #1-ranked player will add that cash to his over $15 million in lifetime earnings and add the title of POWERFEST champion to his long list of accolades. Another PocketFiver who took home a title on Friday was Austria’s ‘mehwtf’. Playing under his partypoker screenname ‘pokeair77’, he won Event #38-HR ($530 Six Max Pot Limit Omana) for $15,870.12. The victory put him just over $600,000 in lifetime earnings and marks his second cash of the series. Additional winners at the High and High Roller buy-ins include ‘gingasnapped’, ‘C125LY’, ‘massi_83’, ‘georibo11’, ‘mbtremendo’, ‘Hugo_BonD1’ and ‘LoSientoGrace’.